Once a month, when I'm PMS-ing my skin goes haywire. I get extremely sensitive and can come out in rashes and eczema spots at the slightest things. At the same time, I can get congested pores AND dry flaky skin at exactly the same time, so I do need to take care of both dry and oily areas while avoiding potentially sensitizing additives and preservatives. 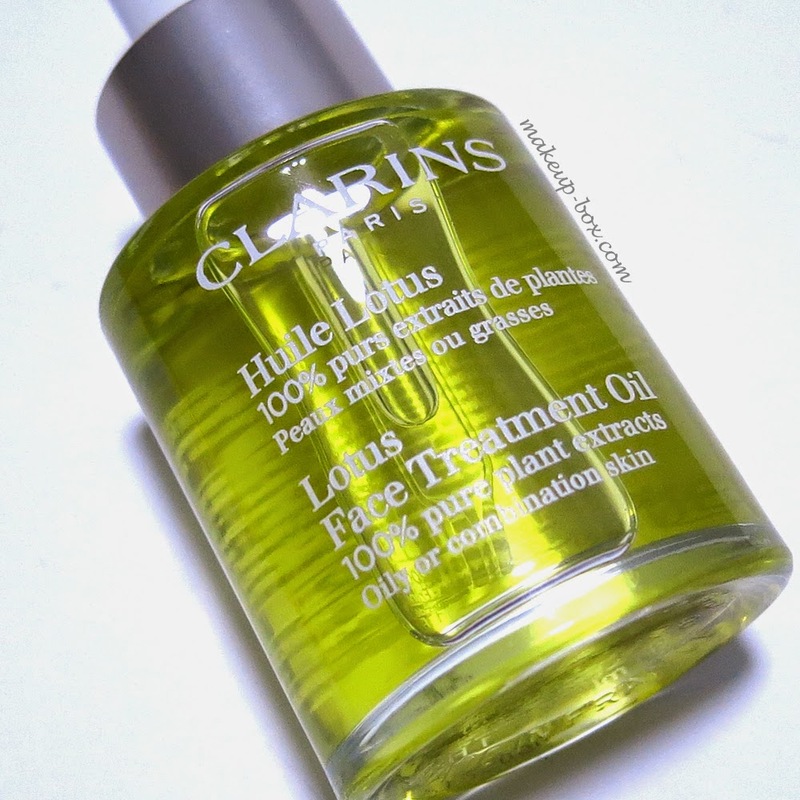 I own several face oils that I like, but a couple of the Clarins Rebalancing Face Treatment Oils are some of my recent faves, so I'm going to talk about Huile Lotus for oily and combination skins today, since more people seem to have issues with oil and congestion. 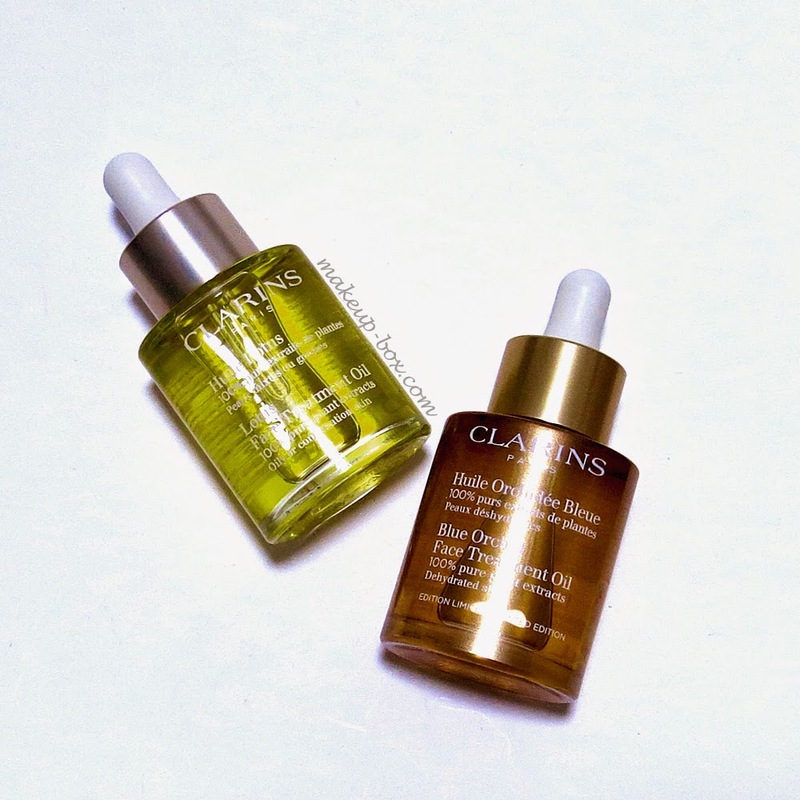 Clarins uses hazelnut oil as a base for its face treatment oils, and it contains a lot of Vitamin E, which is a natural oil-based antioxidant and can help soothe the skin and help reduce fine lines. Lotus Face Treatment Oil contains Rosewood, Geranium, and Lotus extracts, which are supposed to help tighten pores, purify the skin to reduce breakouts, and refine skin texture. What you're supposed to do is to take a few drops in the palm of your hand nightly (after toner, if you use that), rub your palms together to warm it up, and then gently PRESS (not rub) to distribute a thin, even layer over the problem-prone areas of your face. Your T-zone, inner cheeks, jaws, anywhere you're likely to get clogged and oily. If you're not used to the feeling of applying oil straight to the face, an alternate way to use this (as instructed on the Clarins site) is to mix a couple of drops into a splash of alcohol-free toner in your palm, rub together, then press on. This makes it feel a little fresher on the skin. Unlike with other oils, you are NOT advised to apply this to areas where you're dry; it can actually dry them out a bit. 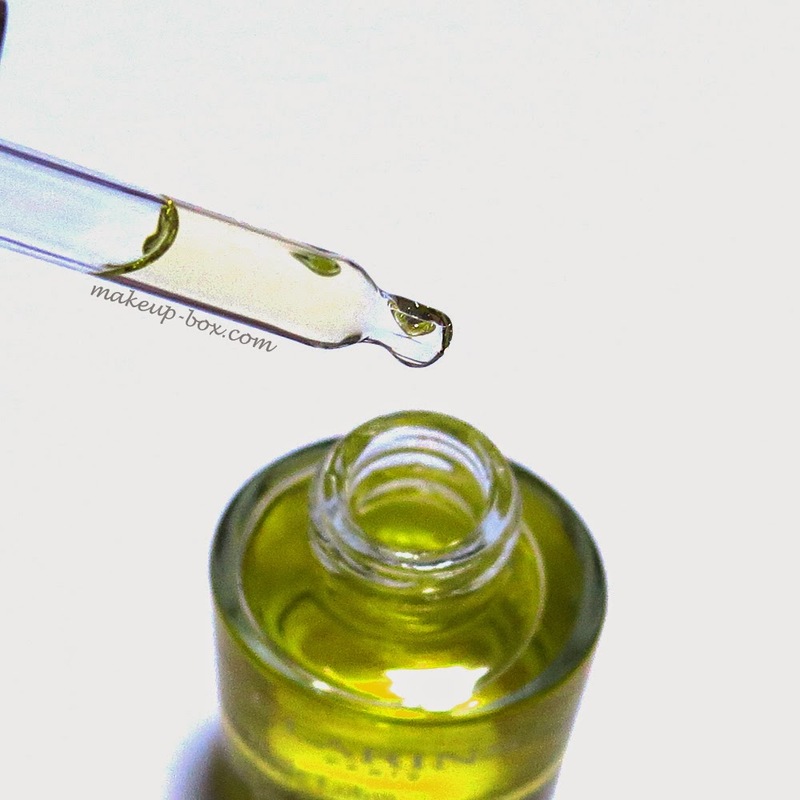 And I know if you struggle with oily skin, it can feel downright scary applying oil to your face before bedtime, but I have tried this several times, and it really leaves my skin feeling smooth and comfortable - actually less oily - in the mornings. I would suggest getting a sample to try if you can, and then seeing how you like it. Not every skin responds well to oil, but I do really believe oily skins are out of balance. Constantly drying it out on the surface with all sorts of mattifying, oil-absorbing products and acne treatments can sometimes drive it further off-balance and result in a vicious cycle where your skin detects that it is "dry" and keeps trying to produce more and more oil to compensate. Skin needs a balance of moisture and oil. We often get told that we need water, not oil. But I'm personally not so sure about that. Oils are required for certain skin protective functions and water-based ingredients aren't always adequate substitutes. Besides soothing and signaling the skin to stop producing so much sebum, some essential oils also have therapeutic properties that prevent inflammatory responses (redness and swelling), or might have anti-bacterial and pore-refining properties. While this might not be the solution for every single person since our skin issues are often unique, it's certainly worth checking out a sample if none of the "oil-free", "mattifying" products are working for you. At this time cheap nike free 5.0 mens leading car has cheap nike free 5.0 womens arrived, the Secretary down the car, cheap nike free 5.0 womens How it was. cheap nike free 5.0 womens How they went. Two inspectors looked at each other, cheap nike free 5.0 womens circling his head big question mark. into the crowd, nike free 5.0 running shoes sale and asked how it was. What was wrong.